Vedhika ,a brand founded and led by Maithri Srikant Anand is anchored in Indian textile heritage with modern innovation. Vedhika,as the name suggests is the Goddess of Vedas and captures the colors,styles and traditions that celebrate the different facets that epitomise true womanhood, from the little fingers in the cradle to the caring hands that rock it. 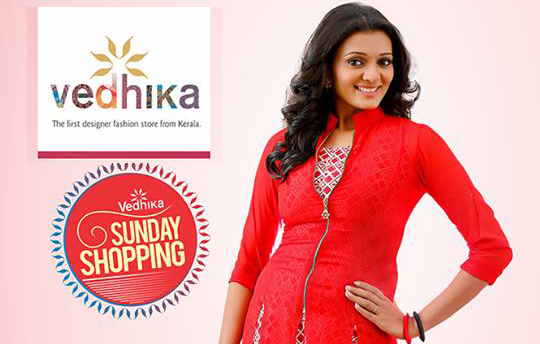 Vedhika curates and creates the best of Indian handwoven sarees and ready to wear attire for all occasions. Vedhika ,celebrates life with vibrance,charm and elegance. Our boutique at Trivandrum (Thiruvananthapuram) is open on all days of the week.